Yoshino Japanese Restaurant offers an array of the best Japanese food in town. Our menu expands to provide you with the greatest selection, freshest flavors, most talked about seafood and perfectly prepared sushi. We have several menu arrangements for each of our separate dining rooms and bars. From the Sushi bar and Shabu-Shabu Bar to our Main dining room, Lounge and Teppan Yaki performance you’ll be charmed at the expertise and skill invested in all of our entrée selections! We look forward to sharing our Japanese traditions with you and your family! The sushi bar has a fine selection of traditional sushi rolls, chef’s specials, specialty salads, Sashimi and more. A taste of traditional Japanese cuisine. Combination lunch, A La Carte, deluxe dinners, combination dinners, and much more. Prepared, cooked and served before your eyes by experts. Includes Shrimp Appetizer, Soup, Salad, Vegetables & Fried Rice. 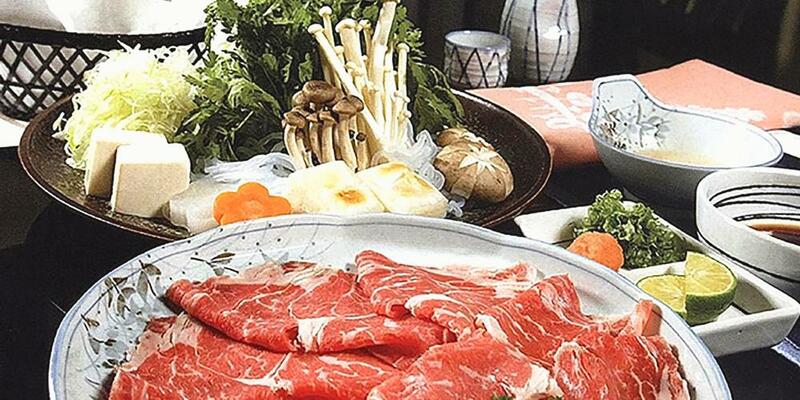 Experience the only Shabu Shabu Bar in Fresno where you prepare your own food for your own taste. Offering comfortable seating, happy hour drinks, and delicious appetizers, the Bar Lounge is one of Fresno’s best kept secrets. Allow Yoshino Japanese Restaurant to put together a Private Dining Event that will meet all your needs and be a wonderful time to enjoy your guests! Whether you need to plan a birthday party, shower, business meeting, Rehearsal Dinner or Reception we would love to host your gathering. Our Private Dining Room can hold up to 60 guests. It would be our pleasure to host your next private event! Please call us with any questions you may have about our packages, menus and prices!